An amazing opportunity to purchase this single level designer-inspired home. With location, quality and size on its side this home has it all and offers something for the entire family. 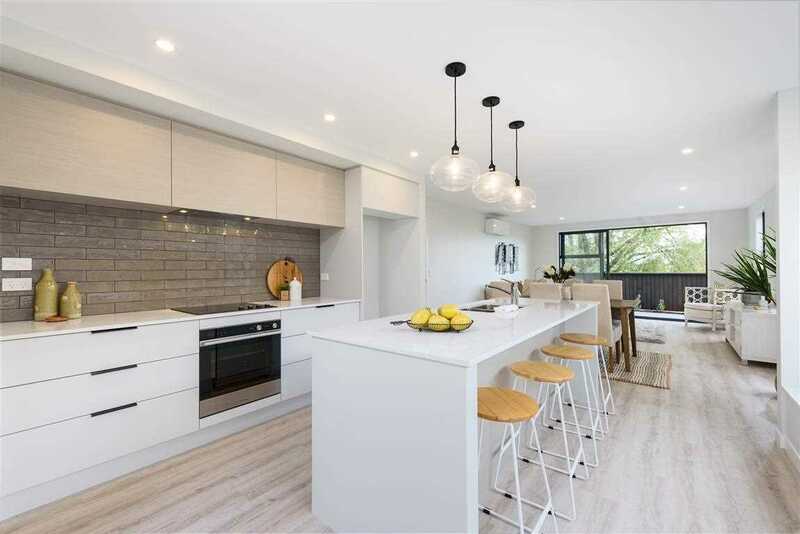 The well thought out layout offers free flowing open plan living/dining, designed to entice warmth and chatter whilst cooking and entertaining in the modern kitchen complete with walk-in pantry, separate lounge, three double bedrooms and two bathrooms. Entertain family and friends on the covered north facing patio or bring the spa pool and chill out. A high level of detail and finishing will impress and this has been carried throughout the home and within the landscaped section. You can simply move in and enjoy living in this low maintenance fantastic family home close to the beach. Designed by Thorne Group Architecture and built by Thorne Group, a family owned company that is synonymous with quality and excellence. Just one look is all you need to fall in love with this winning combination of freshness and elegant simplicity. Its brand new, so move on in and be the first proud owner or add it to your investment portfolio! Chattels remaining: Fixed Floor Coverings, Light Fittings, Ceramic Hob, Wall Oven, Dishwasher, Rangehood, Waste Disposal, Heatpump x 1 & 1 Remote, Auto Garage Door & 1 Remote.